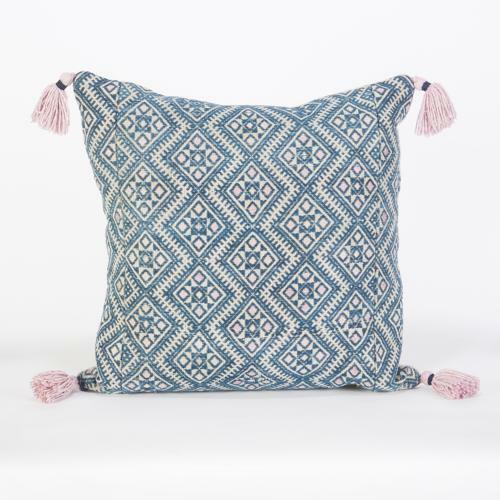 These lovely graphic wedding blanket cushions are made in indigo cotton with faded pink silk diamonds. The corners are adorned with handmade tassels in banana silk. They have straight seams, thick vintage hemp backs, have zip closure and feather pads. There are 2 available, and they can be viewed in my studio in Purley by appointment or please ask for a shipping quote.